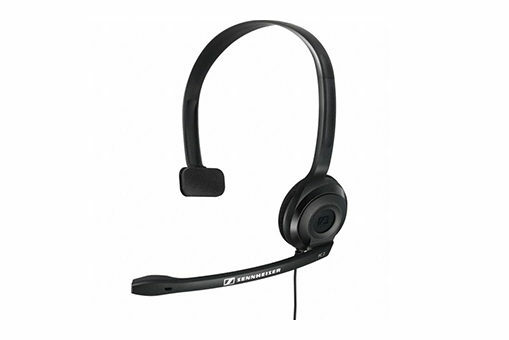 The PC 2 is a Sennheiser single-ear stereo headset with a built-in noise-cancelling microphone, a 2 metre cable, and 3.5mm colour-coded jacks. The headset is used in conjunction with our Break Out Box. It features a flexible microphone, a comfortable adjustable headband, and clear audio reproduction. Its single-ear speaker allows staff to converse clearly with customers while maintaining communication with the staff-side of counters.